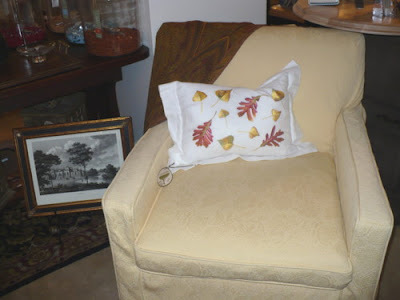 Madison Lane Interiors: The falling leaves . . . .
Talking about leaves makes me think of Fall. But if we were already in the dead of Winter my mind might wonder to Spring, so I guess leaves are a relative thing, huh? I can tell you what leaves are in the decorating business and that is HOT. What is it about them that we find so appealing? 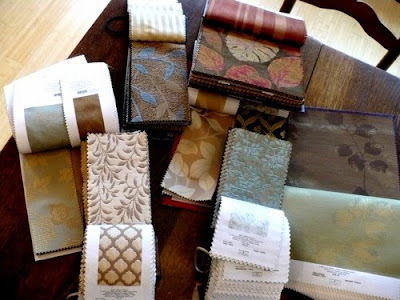 This is just a random sample of our fabrics with a "leaf motif". They are in all colors, sizes and textures. I think leaves have a calming effect on people. 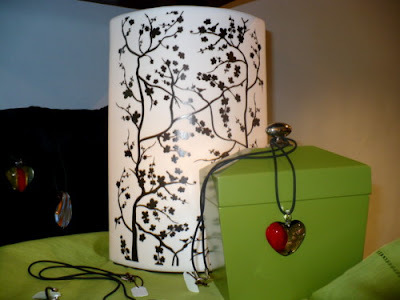 I know you are zeroing in on the heart necklace and green box! Look behind and note the black and whte canister lamp (yes, there is a light in there). The branches and leaves would qualify it for this blog entry. Boxes are another HOT item for Madison Lane. We have the leaf boxes available in two sizes, along with several other styles and sizes. They are a great gift for guys---remind them to put their loose pocket change and wallet in there instead of on top of the dresser! We love this embroidered linen pillow. It definitely has the colors of Fall. 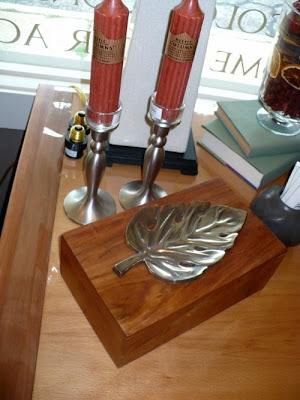 If you haven't incorporated some leaves in your decor, come by the shop, I think we can find some for you! I sent your blog link to a friend who has a friend in Joplin. She said she has driven by your shop and plans to visit. She loved the glimpse inside the shop. I've added you to my sidebar list.